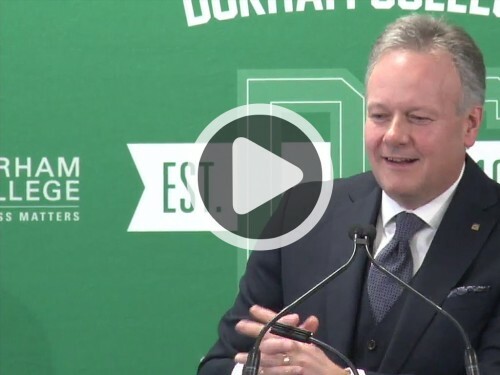 It is a real pleasure for me to be back in my home town of Oshawa, particularly given that Durham College reaches its 50th anniversary this year. From 205 students in 1967, Durham has flourished. The college developed partnerships with both Trent and York universities and added the University of Ontario Institute of Technology as an educational partner on campus. Today, Durham College has well over 50,000 alumni. As we all know, Canada, too, is hitting a big milestone this year—150 years of Confederation. Let me ask you this: Where in the world would you rather live? Over the past 150 years—not long by global standards—Canada has progressed to become one of the wealthiest and happiest countries in the world. The average income, adjusted for inflation, is about 20 times higher today than it was at Confederation. It is worth thinking about how this progress arose. Essentially, Canada’s economic growth up to around the end of the Second World War depended primarily on exploiting our natural resources. To accomplish this, we needed three things: foreign investment, immigration and access to foreign markets. Of course, being open to the world also meant that Canada would be affected by global events, including policies in other countries, and this occasionally caused us to question our commitment to openness. But over time, the evidence leads to a clear conclusion: Canada fares better when we are open. Today, I want to illustrate this by looking at six episodes in our history and talk about how our willingness to be open to trade, investment and people has ebbed and flowed over the years. The economic benefits of international trade have been understood for about 200 years. But trade itself has been going on throughout history, including here in North America. At numerous sites, such as the junction of the Gatineau and Ottawa rivers near what is now Parliament Hill, evidence of trading stretches back centuries. Goods—and better methods of producing them—spread via trade among First Nations—such as the Mississaugas of Scugog Island, on whose traditional territories Durham College sits. Trade grew even more following the arrival of Europeans. The colonial powers of Britain and France had a strong interest in Canada’s natural resources. Trade in resources like fish, furs and timber, which was established long before Confederation, shaped how Canada would develop, as the economist Harold Innis clearly spelled out more than 80 years ago in his seminal studies of our economic history. So rather than start in 1867, let us set the scene by going back further, to see how Confederation actually happened. In the years following the War of 1812, the area that would unite at Confederation was still divided into four colonies: Upper Canada, part of today’s Ontario; Lower Canada, part of today’s Quebec; and the Maritime colonies of New Brunswick and Nova Scotia. At the time, our economic ties with the United States were frayed. No doubt that had much to do with the fact that the Americans had just tried to invade Canada, but they had also imposed high tariffs on our exports. In contrast, we had strong ties to Britain, which had a policy of preferential tariffs—very low taxes levied on imports—on goods from the colonies. Tariffs served a dual purpose in the 19th century. Until the First World War, governments relied on tariffs for most of their revenue. But the second purpose of tariffs was the protection of domestic business from foreign competition. Over the years, tension developed between those who sought higher tariffs to provide protection from import competition and those who advocated lower tariffs and open markets. In Canada, this tension has often had a regional component, with consumers outside the protected industries resenting paying higher prices. This tension has ebbed and flowed for the past 200 years. During the first episode of our story, economic growth for the colonies depended on shipping resources primarily, but not exclusively, to Britain. In Upper and Lower Canada, that meant building canals, such as the Welland and Lachine canals. Immigration from Europe was crucial to supply the labour needed for construction. And with little local capital to finance the projects, governments looked abroad—mainly to Britain—for foreign investment. The uniting of Upper and Lower Canada in 1841 was an important step in attracting the funds needed to build the canals that would allow ships to travel efficiently from the Great Lakes to the Atlantic Ocean. The new waterway allowed wheat shipments from Upper Canada to boom. It also attracted shipments of US grain, because Britain considered everything sent through the St. Lawrence to be Canadian, applying the same preferential tariff regardless of origin. So, by the early 1840s our colonies were making economic progress, aided by foreign investment, immigration and trade with the British Empire. But this business model was disrupted in 1846, when the British government eliminated all tariffs on grain imports to reduce food prices. That meant that grain shipped through the St. Lawrence no longer had preferential access to the UK market compared with, say, shipments from New York. The hard feelings from the War of 1812 had faded as our second episode began. The Canadian colonies reacted to the loss of preferential access to Britain by becoming more open to trade with the United States. After several years of negotiations, and after overcoming significant protectionist sentiment on both sides, the Province of Canada struck a reciprocity agreement with the United States in 1854—essentially, a free-trade agreement in resources. Meanwhile, the Irish famine touched off waves of immigration into the colonies and the United States, fuelling growth. The colonies actively sought foreign investment to support the construction of railways, so goods could move in winter as well as in summer. Most of the investment to finance these projects came from overseas, primarily from Britain. With growing trade, an expanding population, foreign investment and improved transportation links in the colonies, the years just before Confederation were generally a time of economic growth. However, the fiscal cost of supporting the railroads was high. The Province of Canada found itself forced to raise revenue, and it did so by imposing tariffs on some imported factory goods. Not surprisingly, this did not sit well with manufacturers in the northern United States. This resentment grew as Britain continued to trade with the southern states during the Civil War. After the war, with the northern states in the driver’s seat, protectionist sentiment carried the day, and the United States backed out of the reciprocity treaty with Canada in 1866. Once again, Canada’s business model was disrupted as we lost preferential access to a major market. This was a key driver to the event that we are celebrating this year: the founding of the Dominion of Canada 150 years ago. Back in 1867, we became a nation of 3.5 million people, with more than 80 per cent of the workforce involved in agriculture or other natural resources. Our third episode begins at Confederation. With access to US markets restricted by high tariffs, Canada needed railways more than ever to move goods and people over long distances, East–West rather than North–South. It is no exaggeration to say that without railways, there would have been no Dominion. In the East, construction of the Intercolonial Railway was a condition for Nova Scotia and New Brunswick to join Confederation in the first place. In the West, amid American dreams of northern expansion, the Canadian government needed a railroad to assert sovereignty over the Prairies. And it enticed the colony of British Columbia to join Confederation with the promise of a transcontinental railway. When completed, Canada would have railways running from sea to sea. The nation, and its economy, would not have worked without them. However, building a railway with an all-Canadian route over the vast Canadian Shield would be tremendously difficult and expensive. To get this done, Canada again had to turn to foreign investment to help fund construction. 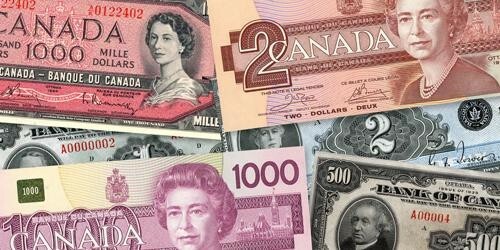 Over its first 20 years, Canada was routinely running current account deficits of between 7 and 10 per cent of gross domestic product (GDP), financed by foreign borrowing. This was not a problem, of course, as the borrowing was being used to increase the economy’s capacity. To complete the railroad, the government turned to a group that included Donald Smith—also known as Lord Strathcona—and his cousin George Stephen, president of the Bank of Montreal and, as it happens, an ancestor of mine. (Stephen is my mother’s family name.) Just as there would be no Dominion without the railroad, it is also fair to say there would be no railroad without the effort and skill of these early entrepreneurs and financiers who helped attract foreign capital and channel it where it was needed. The people who developed what has become the world’s soundest banking system were vital to Canada’s development. In fact, the Bank of Montreal served as fiscal agent for the Canadian government in the years after Confederation, a role the Bank of Canada now fulfills. The Canadian Pacific Railway (CPR) was completed by 1885, opening up the West to flows of goods and people. This link may have been necessary for growth, but it would prove insufficient on its own. The world was in the grips of the Victorian Depression, a generation-long economic slump that followed the financial crisis of 1873. Looking back on the period, it is a wonder that the CPR was completed during such difficult times. Even though thousands of immigrants continued to arrive in Canada each year, a greater number of people were leaving Canada for the United States, where economic conditions seemed better. In these difficult circumstances, the Canadian government turned insular. Weak revenues and concerns about the future of manufacturing led it to raise tariffs. By 1890, the average Canadian tariff for manufactured goods had reached 23 per cent, with imported clothing subject to a 30 per cent tariff. However, growth remained modest until just before the end of the century. The tide turned in our fourth episode, which begins just before the turn of the 20th century. The railroads that now criss-crossed the land supported openness in both directions. They allowed the trickle of immigrants into the West to turn into a flood. And they were the conduit for rapidly growing exports. With rising grain prices, the country’s income soared. On the tariff front, the US market remained essentially closed. And in the 1911 elections, Canadian voters rejected a renewed attempt at reciprocity with the United States. However, Canada’s natural inclination toward open markets asserted itself. The government launched what became known as the Imperial Preference, which allowed for tariff rebates on goods of British origin. And over time, Canada pointed the way toward openness by negotiating lower tariffs through “most-favoured-nation” agreements with several other countries. Today, the concept of “most-favoured-nation” is at the heart of the global trading system. So, with tariffs starting to trend downward globally, market access rising and population growth accelerating, the Canadian economy boomed early in the century. Foreign investment remained a key ingredient, hitting a record 18 per cent of GDP in 1911. By 1913, more than $2 billion had been invested in railways alone, equal to about $43 billion today, in a country of just 7.5 million people. Another important trend began to emerge during this period—our economy was becoming more diverse. Canada’s manufacturing sector, centred here in Southern Ontario, began to expand rapidly. Several factors helped this rise, including the development of technologies that raised productivity in agriculture, allowing workers to leave farms for new emerging jobs in cities. In the fledgling auto industry, Ford opened its first Canadian plant in Walkerville in 1904. In Oshawa, McLaughlin Carriage Company began making cars in 1907. McLaughlin later merged with Buick and evolved into General Motors. This industrialization would, in time, help encourage a more open trading relationship between the United States and Canada. Our fifth episode starts with the outbreak of the First World War and continues until the Second World War. The First World War led to higher tariffs as governments scrambled to raise revenue. Income tax was introduced in 1917, which finally gave governments another important source of revenue and made tariffs what they are today—purely a tool of protectionism. Foreign investment into Canada slowed sharply, immigration came almost to a halt and a major recession followed the First World War. Things improved briefly during the Roaring Twenties amid industrialization in both Canada and the United States. But the US stock market crashed in 1929, and shortly afterward, the Western world fell into the Great Depression. Foreign investment and immigration to Canada slowed again during the Depression. From 1929 to 1932, Canada’s economy shrank by 25 per cent. With public sentiment turning against the banking system, then-Prime Minister R. B. Bennett set up a Royal Commission, leading to the establishment of a central bank to act in the public’s interest. And since 1935, the Bank of Canada has been operating with a mandate to promote the economic and financial welfare of Canada. Meanwhile, in a bid to protect American workers and farmers from foreign competition, the US Congress pushed up the average tariff rate on dutiable goods to nearly 60 per cent by 1932. This policy backfired spectacularly. Most other countries, including Canada, retaliated with tariffs of their own. The trade war had no winners; everyone suffered as international shipments collapsed. Canadian trade fell by more than 50 per cent during the Depression; US trade, by 70 per cent. Unhappily, the Second World War is what happened next. Our final episode follows the Second World War. After the Depression and war, many countries—including Canada—were determined to create international institutions aimed at preventing such disasters from happening again. At the 1944 international conference at Bretton Woods, Canadian economist and future Bank of Canada Governor, Louis Rasminsky, not only led the drafting of many of the documents but was also credited with breaking deadlocks between the British and American delegations. Canada would benefit greatly from this international push toward openness. A consensus emerged on the wisdom of an open trading system, and three years after Bretton Woods we saw the General Agreement on Tariffs and Trade (GATT). Over the next 50 years, successive rounds of GATT talks led to lower and lower tariffs, from the roughly 22 per cent average seen before the war to about 4 per cent following the Uruguay Round in the 1990s, reducing costs for consumers everywhere. Here in Canada, the government co-operated with the US government to invest almost half a billion dollars in the St. Lawrence Seaway, and it invested another billion dollars to build the Trans-Canada Highway. To get an idea of what these figures would be today, multiply them by roughly 10. 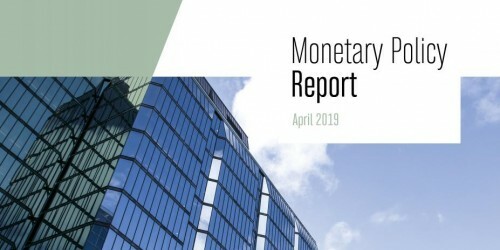 The pattern of importing capital resumed, while the banking industry, along with the Bank of Canada, facilitated the development of domestic financial markets. These markets would provide a link to global financial markets and help attract and channel foreign capital. During the 1950s and 1960s, large numbers of people immigrated to Canada, and this has continued to be the case, more or less, until today. Simple arithmetic shows just how important immigration has been to Canada. Take away the force of international migration since Confederation, and Canada would be around 10 million people, not 36 million as we are today. With all of the right ingredients in place, Canada enjoyed years of sustained, strong economic growth in the post-war period. 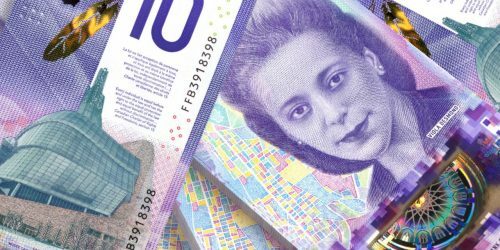 It is not a surprise that some of Canada’s most famous economists made their mark during this time. I am thinking of Nobel laureate Robert Mundell, whose work with British economist Marcus Fleming led to a greater understanding of how small open economies such as Canada’s function, and why flexible exchange rates are a key ingredient of success, especially for an economy reliant on foreign capital flows. Other Canadian economists who gained prominence around this time include John Kenneth Galbraith, with his international work and insights into economic cycles and financial bubbles, and Jacob Viner and Harry Johnson, both of whom did pioneering work on international trade. With industrialization continuing during the post-war period, Canada’s economic ties with the United States strengthened. The 1965 Auto Pact created a single, tightly linked market for automobiles and parts between the two countries. This gave Canadian producers both the opportunity to develop economies of scale and the ability to specialize production. Over the agreement’s first 40 years, auto production in Canada roughly tripled, while employment in the industry doubled. The next step in strengthening these ties was the Canada–US Free Trade Agreement (FTA) in 1988, which was expanded five years later to include Mexico in the North American Free Trade Agreement (NAFTA). As had been the case in earlier attempts at reciprocity, these agreements would not come easily. Many Canadians resisted continental free trade, fearing job losses, the possible loss of our health care system, and a general loss of Canadian economic or even political sovereignty. None of these concerns have come to pass, although heightened competition did result in job losses in some sectors. But these losses were more than offset by gains in other areas, and consumers have continued to benefit from lower prices and increased purchasing power as most tariffs were eliminated. Beyond the FTA and NAFTA, Canada has kept pursuing other opportunities for openness. Canada has continued to push for reduced barriers through the World Trade Organization—which succeeded the GATT framework—and through agreements with other individual countries or trading blocs. So what can we say about the lessons of our story, and how can we apply them today? Now, I know that I have greatly oversimplified matters and have not taken into account a host of other factors in Canada’s development. But I find the correlation between economic progress and openness to be striking. When trade barriers are falling, when people are coming to our shores and when investment is rising, Canadians prosper. We saw this before Confederation, in the early 1900s and after the Second World War. The flip side is that responding to tough economic times by turning inward rarely succeeds. We saw this after Confederation and during the Great Depression. The bottom line of our history is that openness and economic progress go hand in hand. It is intuitive that a country like Canada would want open access to foreign markets. Indeed, given our abundance of natural resources, we have needed export markets to pay for the imports and the investment required for our development. Similarly, it is not hard to see how we have been bolstered by a growing population that includes immigrants who bring their skills, labour and demand. Canada is not unique in this. It is less intuitive to see the same point from the other direction. Historically, there has always been some resistance within Canada to lowering tariffs and exposing our businesses to foreign competition. But what experience has shown is that the fears of openness are misplaced. Protectionism does not promote growth and its costs are steep. First and foremost, higher tariffs and other trade barriers make things more expensive for people and limit their choices, while lower tariffs make things cheaper and increase choice. Specific companies might benefit from protectionism, but that imposes a cost on everyone else. Conversely, the gains from free trade are spread throughout the economy. Beyond this, exposure to competition has been an important driver of innovation. 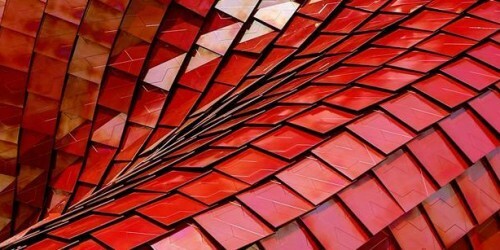 Through competition, companies are exposed to new technologies, which they can then adapt for their own use. And higher productivity leads to sustained employment and rising living standards. So there are compelling reasons why Canada should continue pushing for open markets, both here and abroad. Similarly, there are compelling reasons to keep our borders open to immigration. Last month, Statistics Canada issued a report projecting that in less than 30 years, Canada will rely entirely on immigration to keep its population growing. Along with productivity, we need continued labour force growth to keep our economic potential expanding. There are also compelling reasons to ensure that Canada remains open to foreign capital flows. Because of our vast geography and relatively small population, we have always had major infrastructure needs. Historically, our domestic savings base has not been large enough to finance these infrastructure projects, so we have needed foreign capital. A final, related point: this quick romp through our history illustrates the importance of dreamers and visionaries, leaders who can turn difficult odds into win-win outcomes. In short, success is not guaranteed, but the key ingredients must be there for the entrepreneurial to capitalize upon: open markets, immigration and foreign investment. Allow me to conclude. Canada’s development owes much to people who had a vision of what it takes to build a great nation, and the willingness to take risks to achieve that goal. Our history shows that it takes a world to raise a nation, and nation building works best in an environment of openness for trade, people and investment. Canada has prospered by looking outward and being engaged, bilaterally and multilaterally. It can be hard to remember this in times of global stress such as we have seen in recent years. The quest for progress and higher productivity can disrupt people’s lives. Automation has meant that workers in some specific industries have borne the cost of change in a very difficult and concentrated way, and we can expect this to continue. But remember that we have been through similar disruptions before, and turning inward has never been the answer. Rather, committing to openness has always been the right choice. What is crucial is that we deploy some of the benefits of being open to assist those who need help adjusting to global forces. Failing to do so invites doubt and puts everyone’s progress at risk. Canada has prospered over its first 150 years. Mistakes have been made, and lessons have been learned. But overall, our openness to the world has helped us build a nation that I believe is the best place to live in the world. Imagine what we can build over the next 150 years. I would like to thank James Powell for his help in preparing this speech. 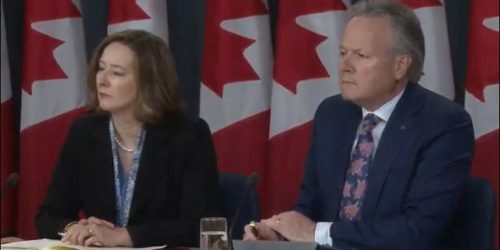 Canada’s economic progress has been driven by its historical preference for openness to people, capital and trade, Bank of Canada Governor Stephen S. Poloz said today.